Jeanie’s debut Album “Moonshine for Breakfast” Hit #11 on the iTunes Country charts. His Second Solo single is Summer Song. This up-beat song was penned with co-writer Gregory Becker on a recent trip to Nashville and was recorded and produced by Aaron D’Arcy in his own Ripon Studios in Melbourne with a little help on Backing Vocals by Danielle Young and Michael Carpenter. 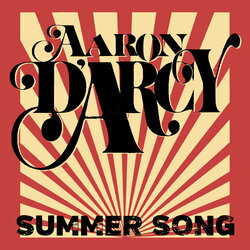 Summer Song will be available everywhere on Nov 26th. Summer Song is taken from the upcoming Album Charcoal and Ash which will be released in March 2019. Known for his energetic live performances which have included an album launch at The Pub in Tamworth, as well as performances in Melbourne, Brisbane and a return to Toyota Park for the TFSS Family night where In the spirit of things Aaron Dressed up as ‘Woody’ and performed A Country version of the Song “You’ve got a friend in me”. Aaron was also invited to open Ski season for Mt Buller, Performed at the Werribee Winter Festival, Yarraville Festival, Seddon Festival, The star studded Whiskey Jam in Nashville, Bobby’s Idle Hour (Nashville), Tin Roof (Nashville) and Aaron’s Favourite bar in Australia Lefty’s Old Time Music Hall.